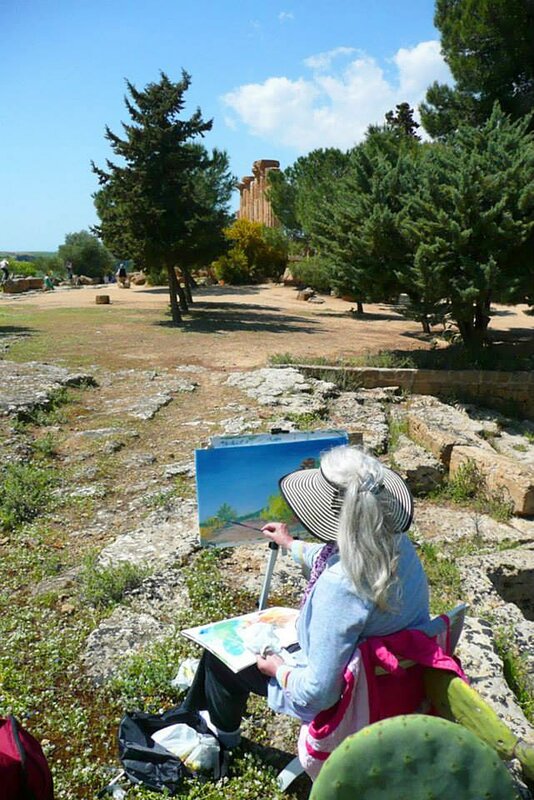 Jostling for your artistic attention you will also find landscapes and animals, and the 500 year-old gnarled and knotted olive trees make a fascinating study on their own. You'll enjoy delicious meals in the handsome dining room, prepared in the Sicilian tradition and featuring the Fattoria's organic produce. After dining, you can linger for conversation in the manor's hospitable lounge. A cookery series for Italian TV ‘Il pranzo di Mosé’ was recently filmed at the Fattoria, presented by our hostess Chiara, and her sister Simonetta: http://it.dplay.com/il-pranzo-di-mose/ The heartland of Sicily is also the setting for the well-known TV series ‘Inspector Montalbano,’ based on the detective novels by Andrea Camilleri; excellent reading after day’s painting. 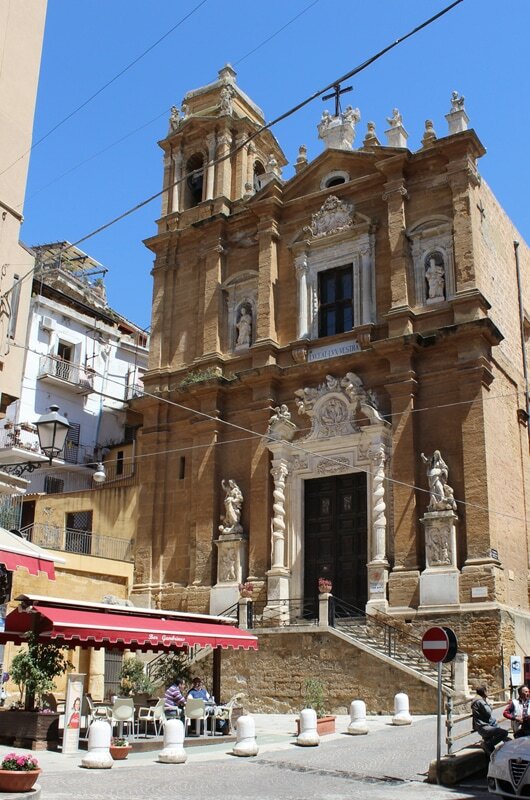 Painting excursions are to the gardens and ruins of the Valley of the Temples, and to the coastal resort of St Leone, where a customary seafront passegiata and a scrumptious Sicilian ice-cream-in-a-bun will make your stay complete. 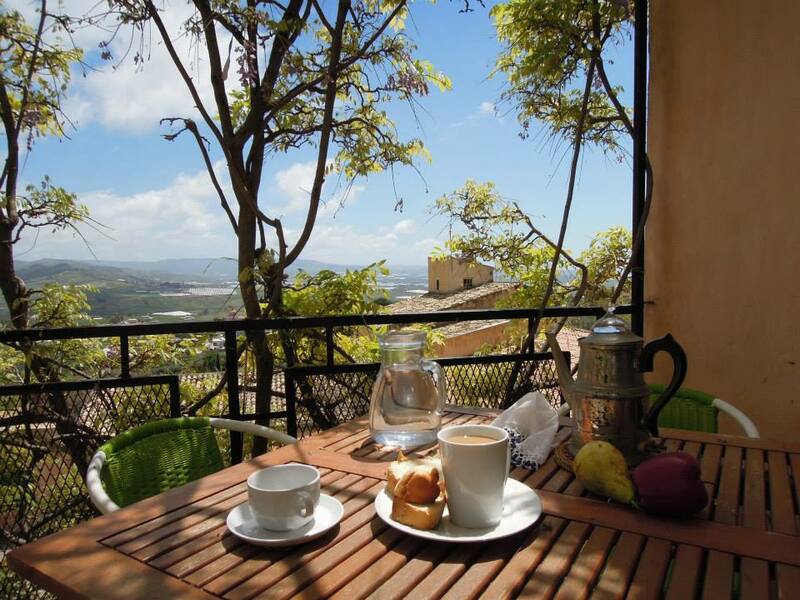 Your accommodation consists of rooms within pleasing, commodious, fully-furnished apartments, each with its own private terrace overlooking a courtyard. There is also a brand-new swimming pool. "The Fattoria with its faded grandeur, and beautiful Chiara and her delicious meals will long linger with me." "Brilliant course! Everything you did and organised was perfect!" 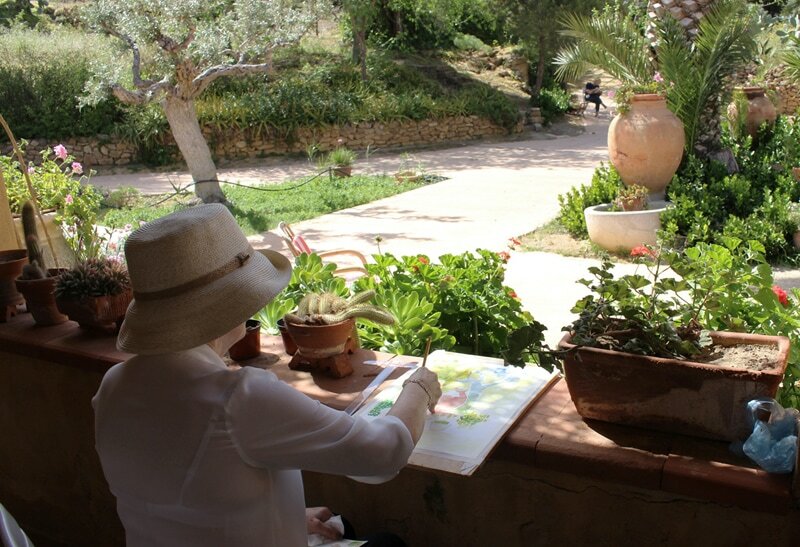 "The whole experience of painting, the friendliness of other painters, the gardens and landscape and not forgetting lovely Chiara and how she looked after us all." 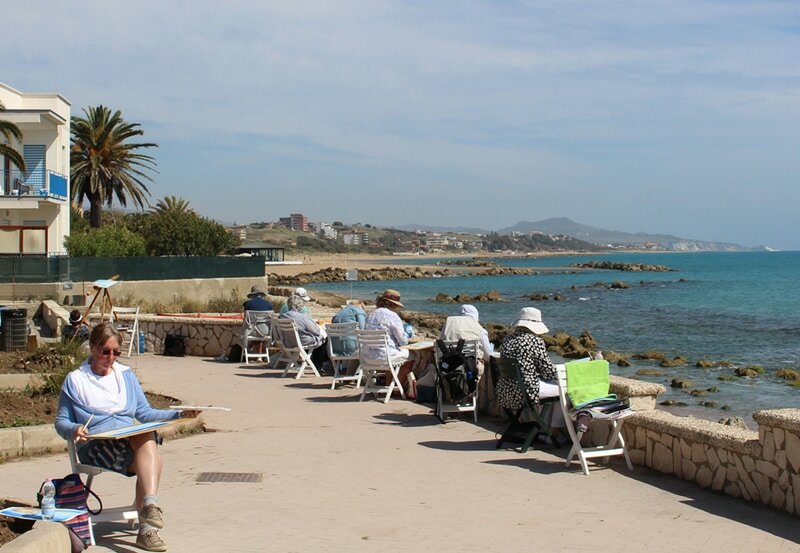 "I really enjoyed the location, company and painting venues. Chiara and her girls were so helpful and charming." "It was a lovely week and I must thank you for once again being an inspiration as well as organizing everything so wonderfully. I don’t think I’ll ever look at a lemon in the same way again. They now have my utmost respect!"